The All Progressives Congress (APC) Presidential Campaign Council has warned members of the party in Ondo State against anti-party activities. A member of the APC Presidential Campaign Council, Strategic and Communications, Omo’ba Abayomi Adesanya, gave the warning on Tuesday in Akure. He said that the council was aware of the clandestine anti-party activities of some party chieftains and senior government officials and appointees, working against the interest of the party in the forthcoming general election in the state.Adesanya, a former APC Publicity Secretary in Ondo State, warned party executives, members and political appointees who were allegedly using their positions and portfolios to canvass for votes for the candidates of Action Alliance (AA) to desist from the act. “APC remains the ship that brought them to Power through its platform. This unholy alliance is sacrilegious and therefore not acceptable in the state. 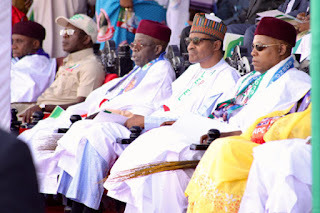 “The council, on behalf of the President and the Vice-President, appreciates the commitment and loyalty of our party men and women, all Nigerians, for their supports and steadfastness in keeping fate with this government,” he said in a statement. Adesanya implored party members and supporters, in all the 3009 polling units, 203 Wards across the 18 Local Government Areas of the state, to work assiduously and vote for all APC candidates on Saturday, Feb. 16.